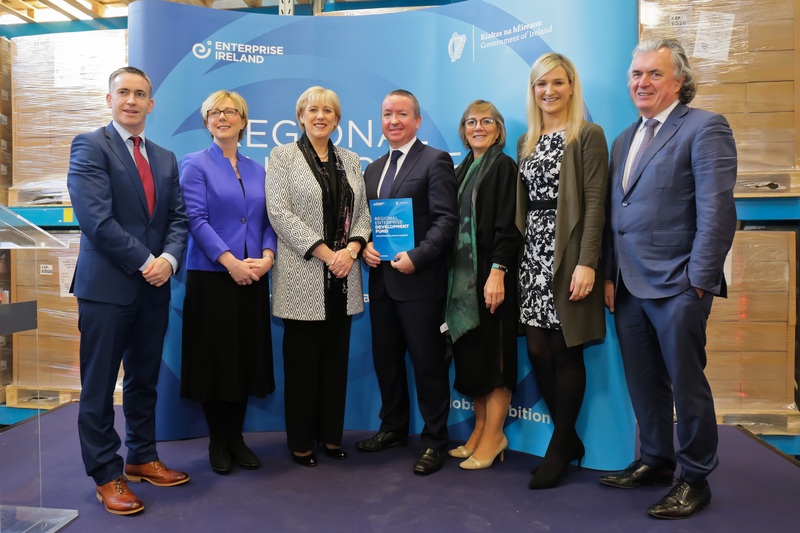 Minister for Business, Enterprise and Innovation Heather Humphreys TD this week announced the results of the second round of the €60million Regional Enterprise Development Fund (REDF), an open national competitive call to support regional projects. Twenty- one successful applicants, out of a total of 77 applications, representing all regions of the country have secured up to €29.5m for their projects in the second call for proposals under the Governments Project Ireland 2040 backed, competitive Enterprise Ireland Regional Enterprise Development Fund. Announcing the successful applicants of the Regional Enterprise Development Fund at a special event in the Meath Enterprise Centre in Navan on Monday, Minister Humphreys said: “The Regional Enterprise Development Fund is aimed at accelerating economic recovery in every part of the country by delivering on the potential of local and regional strengths. This funding, provided by the Department of Business, Enterprise and Innovation, through Enterprise Ireland under the National Development Plan is a key action to support the Regional Action Plan for Jobs and the Action Plan for Rural Development. Twenty-one successful applicants are approved the award of funding totaling €29.5million. The winners were selected through a rigorous evaluation process based on criteria which included impacts and value for money, collaboration and participation, viability and sustainability, building regional strengths and significance for innovation. 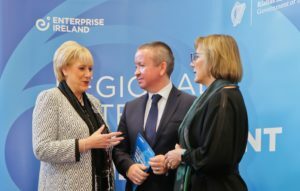 Julie Sinnamon, CEO, Enterprise Ireland said: “Supporting enterprises to build scale and expand reach is a key focus of Enterprise Ireland and the Regional Enterprise Development Fund helps us to further drive growth in key sectors across the country, particularly in the context of Brexit. 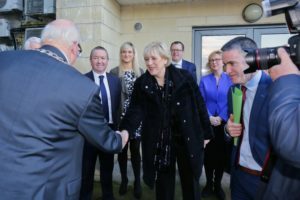 Image1 – Minister for Business, Enterprise and Innovation Heather Humphreys TD is greeted by Mayor of Navan Cllr Jim Holloway at the official launch of the Regional Economic Development Fund in the Meath Enterprise Centre on Monday. Image2 – L-R – Ministers Regina Doherty, Damien English, Heather Humphreys, John Cunningham CEO Epicom, Julie Sinnamon CEO Enterprise Ireland, Gary O’Meara CEO Meath Enterprise, Minister Helen McEntee, Jackie Maguire CEO Meath Co Co, Kevin Stewart Director Meath Co Co at the Epicom plant in Navan. Image3 – L-R – Ministers Damien English, Regina Doherty, Heather Humphreys, Gary O’Meara CEO Meath Enterprise, Julie Sinnamon CEO Enterprise Ireland, Minister Helen McEntee, Terence O’Rourke Chairman Enterprise Ireland following the announcement that the Boyne Valley Food Innovation District was award €1.58m in funding to develop a new Food Hub in Navan. Image4 – L-R – Minister for Business, Enterprise and Innovation Heather Humphreys, Gary O’Meara CEO Meath Enterprise and Julie Sinnamon CEO Enterprise Ireland discussing the Boyne Valley Food Innovation District project as a model for regional development at the launch of the Regional Economic Development Fund in the Meath Enterprise Centre in Navan this week. Boyne Valley Food Hub is a flagship project of Boyne Valley Food Innovation District to develop an innovation-rich building and stimulus project to accelerate growth and yield business impact through collaboration, innovation, and clustering, thereby facilitating the development of scalable, sustainable and profitable food businesses across the Mideast and Northeast regions. The agri food sector makes a powerful contribution to the economy of Ireland’s Mid-East and North East. Therein, the Boyne Valley region has been synonymous with food production and trade dating as far back as 10,000 years ago. The region typifies the ambition of Food Wise 2025 – ‘Local Roots Global Reach’ and acts as a base for some of Ireland’s leading indigenous and high growth food businesses – Largo Foods (Ireland’s leading snack food company), Dawn Farm, Meade Potato Company (over 650,000 sq. ft., 240 employees and 100 product lines), Kerry Foods, Lír Chocolates, Epicom (full turnkey ambient food manufacturing service for clean label functional foods with 300 products and exporting to China, Scandinavia and the EU) and East Coast Bakehouse to name just a few. They are joined by a growing crop of micro food businesses blazing a trail to market through the efforts and support of Local Enterprise Offices across the Mid-East and North East. Since 2015, Boyne Valley Food Innovation District has been building an ecosystem framework that joins the forces of these leading-edge companies levering cooperation with each other and uniting with public sector drivers for food, innovation, regional development and education at national and regional level. We are specifically positioning the project as a business base for UK and Northern agri food companies. As highlighted in the Irish Independent– the Northern Ireland agri food industry is “in grave peril”. John McCann of Co Down firm Willowbrook Foods said the uncertainty meant he had put off plans to invest £1m in the business. Training agencies who wish to provide food related training. Boyne Valley Food Innovation District is a smart specialisation collaborative for the Mid and North East regions that nurtures food and drink SMEs and talent to achieve their commericalisation and scaling potential. It is a leading-edge cluster that is fuelled by collaboration with the unique potential to spur productive and sustainable regional economic development, levering the power of intercompany linkages to drive innovation and sales growth nationally and internationally. industry entrepreneurs/learners will benefit from our knowledge centre activities. 60 interns will work on innovation led projects, enhancing the innovative capacity of the region as indigenous food companies move up the value chain. Infrastructure Boyne Valley Food Hub transforms 790m² of enterprise space in Navan Enterprise Centre into food grade facilities with 9 units available for start-up and scaling food businesses, a timeshare development kitchen and a food specific co-working and knowledge lab to create higher levels of connectivity, collaboration and innovation in the food and drink sector. Boyne Valley Food Hub addresses the fact that Ireland does not have enough food incubators. A 2016 study highlighted that there is a seismic gap in infrastructural resources for food entrepreneurship and this is particularly acute in the Dublin area with a dearth of facilities – see map in section 4.5. Those that are in place are full and operate waiting lists. · 64% of those surveyed have growth plans that require additional production facilities. · 72% expected planning or statutory criteria perspective problems would curtail expansion in their current facilities. · Through affordable food grade workspace, we tackle the cost barriers to entry, including very high capital costs, to scale a food manufacturing company. · We facilitate agri diversification in our rich agri region. It is worrying that the number of farms engaged in artisan food production remains very small (just 0.4% of total number of farms in Ireland 2012). Key barriers include access to food production capital investment, constraints imposed by health and safety standards, a set of values biased towards primary production rather than adding value and a lack of relevant business skills among the farming population. A recognised lack of easy to access food grade facilities is seen as a serious barrier to the establishment and growth potential of artisan food producers who struggle to support the capital requirements of setting up a production facility. · Further, the increasingly strict compliance costs and build regulations negate against food production facilities located in rural home-based locations. As a now proven response in rural Ireland, timeshare community kitchens can act as a very tangible incubator of emerging artisan food producers in an area. The community kitchen concept first emerged in the US as a unique way to provide aspiring entrepreneurs with time-share access to value added production facilities and the opportunity to start and expand specialty food and catering businesses without the prohibitive cost. Also called a Culinary Incubator, our Boyne Valley Food Hub incorporates a well-equipped kitchen space available to rent on a timeshare basis for low risk and eligible food production and proof of concept innovation projects. Collaboration for Growth Through levering the connections and shared experiences within the District, we provide a commercial platform for food and drink businesses to establish strategic partnerships in new and emerging global markets and facilitate the distribution of food products in a smart and cost-effective manner. This includes providing a collaboration framework which provides support and guidance formulas for market entry, market led acceleration supports to recognise and exploit new opportunities for collaboration across the food supply chain. The BVFID will operate as a gateway between SME food companies and the opportunities that exist in international markets, by establishing and developing trading and distribution links and channels to global markets (key focus on Scandinavia, Benelux and Asia). A tangible/indicative example of this collaboration typified the potential. 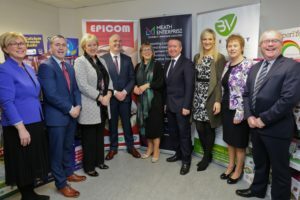 Two BVFID’s partners, Epicom (EI Leadership for Growth graduate) and Superlife (EI- Bord Bia – Teagasc Food Works graduate) secured a major contract in Scandinavia. Both companies have invested significant time and financial resources in researching and developing this channel and are willing to share all their learnings and networks so others replicate and share with other similar ambitious food SMEs. A similar contract is nearing conclusion in China. 2. Hamper Collaboration: collaboration with other suppliers to fulfil ‘hamper’ orders for mixed Irish goods. 3. ‘White label’ Collaboration: Several of the companies manufacture “white label’ versions of their own products for retailers or manufacture other company’s products under license. · BVFID will give existing SMEs access to emerging and global markets with skill-sets they currently do not possess and cannot afford. · Minimize the risk of trying to achieve rapid growth independently. It will provide an incubating environment, so SMEs can build up exporting proficiency and benefit from the shared learning of other similar companies. · MaynoothWorks is developing a regional “hub and spoke” model in which Innovation Programs and support mechanisms developed at the hub (MaynoothWorks) can be delivered inhouse as well as at ‘spoke’ entities such as Boyne Valley Food Hub. In addition, it is pioneering the development of a Business Innovation Index (BII) model, specifically designed to support early-stage companies. This company ‘readiness assessment model’ is a multi-faceted approach to ascertaining company risk, as perceived by potential customers and investors and is also a means of assessing company alignment to business plans. · The Irish Food Tech Cluster, a consortium of seven of Enterprise Ireland’s Technology Gateways operating within the food and beverage technology sector. The cluster provides a range of expertise for companies who are looking to access research and development within these areas. · This is well described by one of our key companies – ‘you can spend €2million making the same mistakes I did or we can share our experiences to increase our success rate of growing and scaling food companies’. · Have access to the best of needs responsive training and skills. In collaboration with Teagasc, the Dept. of Agriculture Food and the Marine, as well as the Dept. of Education and Skills and SOLAS, the Mid-East Regional Skills Forum has commenced a profile of roles and skills within the Agri / Agri Food Sector and will conduct in-depth skills audits over the coming months. · Accelerate research in the region by fostering relationships between government agencies, academic institutes and companies. Talent Retention and Attraction Our businesses share a concern that in order to grow, access to a skilled high calibre workforce is absolutely essential. Working with the Mid East Skills Forum, we will support our companies to attract and retain top talent, particularly young employees and graduates. We will build on the internship programme between DIT and Epicom which over 3 years has become a leading internship programme. It was reengineered to include the placement project as the thesis subject for year 4. Of the 12 graduates interned in Epicom, 8 are still employed by the company in key roles including the Head of R&D and Head of Quality. To achieve our regional growth targets, we know our region must attract and retain the talent needed to support our growing economy. On a cross regional basis, we believe that increasing the number and quality of internships and experiential learning opportunities will prepare our students for full-time employment and expand our talent pool for regional employers. Boyne Valley Food Hub is the first sectorally focused internship programme for our region involving 60 interns placed in 60 businesses over a 3 year period. · Interns can bring fresh, innovative perspectives and increase diversity to SMEs. Levering Networking Assets Networks fuel innovation because they strengthen trust and collaboration within and across companies and industry clusters, provide information for new discoveries and help firms acquire resources and enter new markets. The Boyne Valley Food Hub provides the physical environment to choreograph opportunities for food entrepreneurs and their staff to interact with each other. We facilitate relationships and create critical mass between businesses and institutions to generate, sharpen and accelerate the advancement of ideas. Peer to peer learning is fundamental in our district. Our co-working and networking hub will facilitate 50 SMEs and emerging food entrepreneurs to immerse themselves in a stimulating food sector environment. In addition, the key role of the Innovation Specialist will ensure the Hub will be bustling with events such as innovation jams, hackathons, pitches, innovation challenges, idea competitions and brainstorms. In this way the value of such a dynamic approach, we increase the visibility of agri food sector and put its innovators in the spotlight. Food Harvest 2020 ambition of investing in ideas, knowledge and skills, encouraging innovation and creativity. It recognises and exploits new opportunities for collaboration across the food supply chain. Food Wise 2025 ambition to build scalable indigenous agri companies. Food Wise 2025 tells us this requires vision and commitment, a tangible long-term strategy and a mechanism for collaborative cross discipline support for agri businesses to grow and develop. At regional level, Meath Council’s Local Enterprise and Community Plan (LECP) has agri food sector growth set out in an articulate ambition and support commitment. Meath Enterprise is a commercially focused local government (Not-For-Profit) enterprise development company with a remit / mission to drive local, regional and national enterprise development through collaboration, clustering and creative thinking. One of these projects, the Boyne Valley Food Innovation District (BVFID), aims to create a food cluster / network that will facilitate the scalable expansion of qualified Food Startups and SME’s into global market opportunities. The BVFID will find opportunities in global and emerging markets and then match these opportunities to indigenous Irish Food Startups and SME’s who have the capability and ambition to go global. We will then plug these companies into the system and manage their development to ensure success therefore creating a qualified pipeline of investable propositions for investors while also supporting long term sustainable economic development throughout all regions. 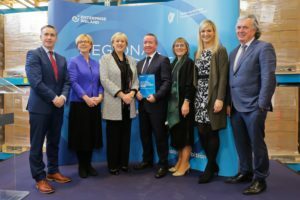 Meath Enterprise are also in the early stages of developing specific infrastructural projects, collaboration and training initiatives in the technology sector that will focus primarily on Food & Ag-Tech, FinTech, Digital, AR-AI, Blockchain, Robotics and Machine Learning while our business networks provide direct access to all other sectors nationwide. Meath Enterprise are unique in their approach to supporting enterprise. We focus on finding solutions to problems that actually exist and we engage directly with global organisations to learn how-to based on global best practice. We want to develop long term relationships that are based on trust, a willingness to collaborate and an ambition to succeed. We believe, with the right partners, anything is possible and we have a very open minded, flexible and entrepreneurial approach to doing business. Step one was development of 3,716 sqm of food enterprise infrastructure for anchor tenant Epicom in 2015 and step three will be the conversion to a sole focus food enterprise centre by 2022.